An application or service that you develop once to run in multiple clouds has a clear advantage over one that is bound to a single OS or runtime environment. Container technology makes it possible, but container security vulnerabilities are beginning to surface. 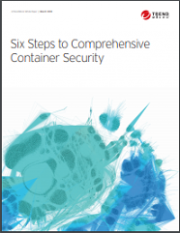 We describe 6 steps you can take to ensure that container security doesn’t become a DevOps roadblock.